While browsing a secondhand website last year, artnet News reports, a Belgian couple named Jan and Chris Starckx scored an amazing bargain: a painting that's likely a long-lost artwork by Willem de Kooning, the famed Dutch-American abstract expressionist artist. The pair paid only €450 (around $500) for the work, but experts believe it could be worth around $113,000. The work depicts a young child with brown hair, who’s wearing a red outfit and holding a ball. If the painting is real, The Telegraph reports, de Kooning likely painted it in the 1920s, toward the beginning of his career. The secondhand website didn’t identify the artist. But according to French newspaper Le Figaro, Jan Starckx, who purchased the painting, noticed that the signature on the canvas’ back resembled de Kooning’s trademark, large-lettered cursive scrawl. Starckx did a little research, and realized that the painting looked like another de Kooning work, called Portrait of Renee. To verify their hunch, the couple then contacted producers at the BBC’s Fake or Fortune?, a TV show that verifies the authenticity of artwork. The show's fifth season finale aired on Sunday, August 21. It followed Chris and Jan Starckx as they traveled to Miami with art expert Philip Mould. There, they compared their secondhand find to one of de Kooning’s verified works from the same time period. 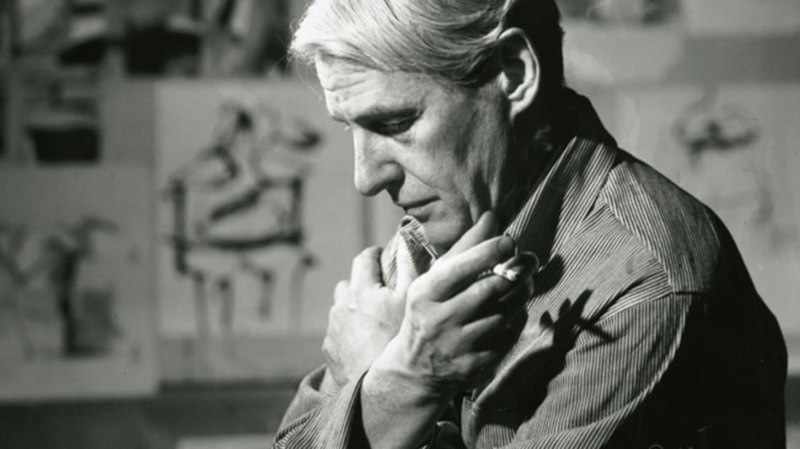 The American de Kooning Foundation no longer authenticates the artist’s paintings, so experts conducted a chemical analysis of the pigment, and found them to be the same in both paintings. However, some people still have doubts, The Sun reports: One art restoration expert, Bruce Kaiser, pointed out that elemental analysis doesn’t prove that de Kooning made both works. The Starckxes’ painting is currently stored in a bank vault, and a reproduction hangs in their home. Soon, the work will be exhibited in the Belgium municipalities of Turnhout and Molenbeek. Eventually, the painting will arrive in the U.S., where it will be displayed alongside Portrait of Renee at Delaware’s Winterthur Museum. Know of something you think we should cover? Email us at tips@mentalfloss.com.